In celebrating the 80th birthday of celebrated Dutch composer Louis Andriessen, pianist Ralph van Raat has been presenting a series of recitals around the world, featuring rarely heard works of this great master. You’ll be seated onstage at Elisabeth Murdoch Hall to experience this exclusive recital up close, featuring early works by Andriessen, and a work specially written for Ralph. Ralph completes this intimate recital with the mighty Phrygian Gates of John Adams: 25 minutes of rippling waves of sound, sometimes smooth and tranquil, sometimes surging and stabbing. 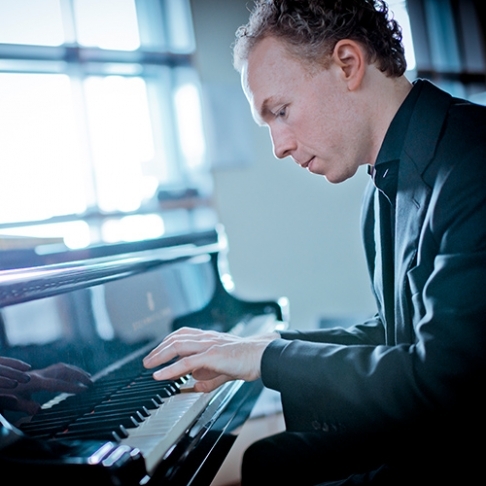 As Adams himself says: ‘Phrygian Gates is a behemoth of sorts and requires a pianist capable of considerable physical endurance and with an ability to sustain long arches of sound.’ Ralph van Raat is the pianist to do it, in this special Metropolis concert. Stay for a post-concert conversation onstage with Marshall McGuire, Melbourne Recital Centre Director of Programming. Presented by Melbourne Recital Centre & Melbourne Symphony Orchestra.